The East Hamilton Mountain Anglers Club has been at Merland Park all week for their 10th annual fishing trip. 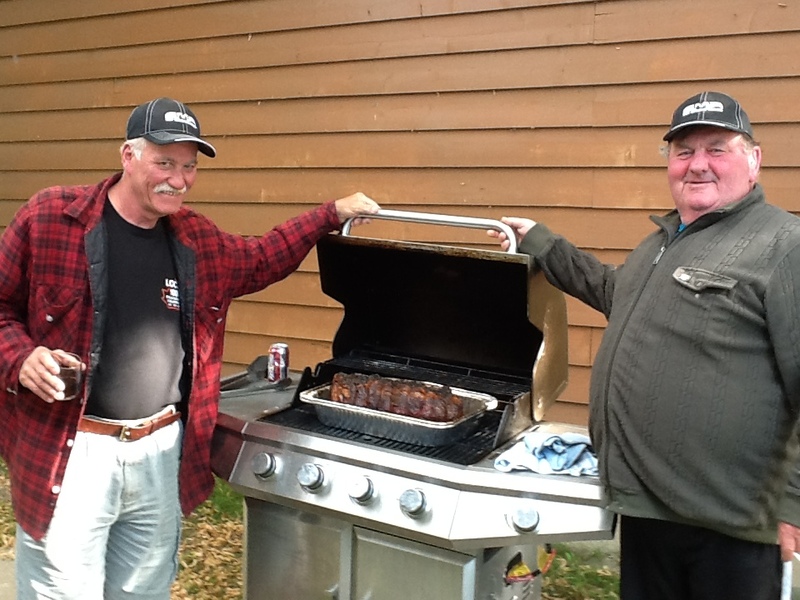 This awesome group of guys, lead by Roger Dean, are both firefighters and friends who come to Picton every year to stay with us at Merland Park. They fish, feast and have fun! Last night they hosted a Barbecue which included a 16 lb roast of beef and invited everyone from the park. People joined in, bringing their own food contribution to the table. It was a great meal which ended with a gathering around the bonfire, down by the water. 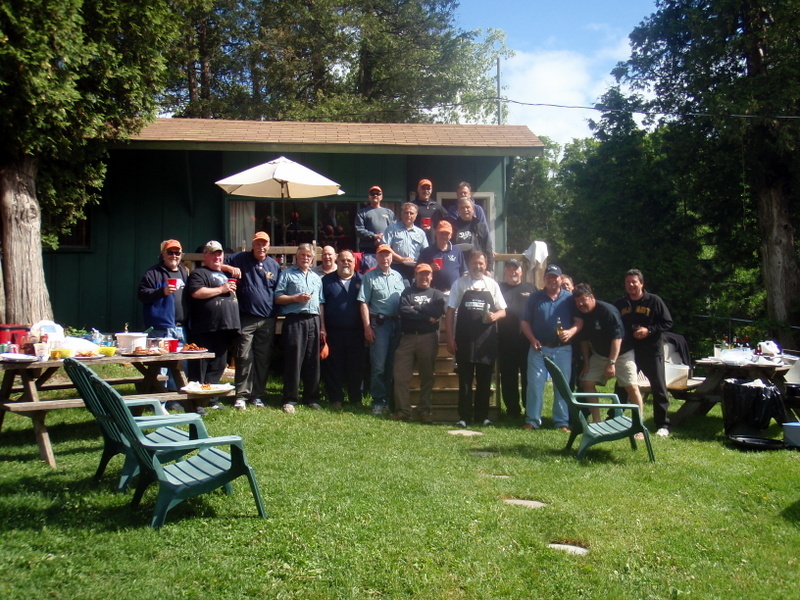 This year was especially important as the group was honouring a fellow angler, friend, Bob Weaver, who passed away at the age of 58 from Cancer. The group linked 4 pontoon boats together out in the middle of the Bay of Quinte, played his favorite song, “Dream Weaver”, toasted to him with his favorite drink, a “Black Russian” and each participated in sprinkling some of his ashes out on the Bay. The whole ceremony was very touching. The camaraderie amongst this group is outstanding and their loyalty to Merland Park is very much appreciated! We are honoured to have them and look forward to them being our guests every year!